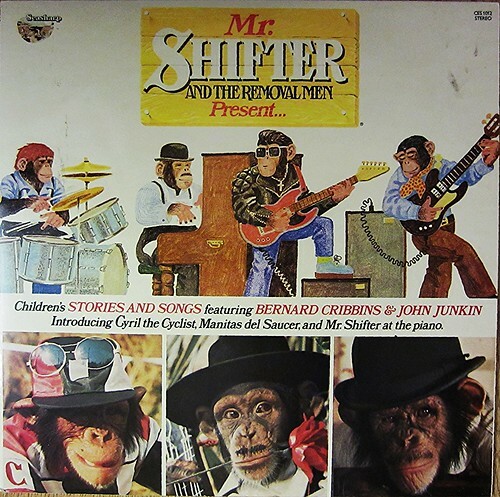 Did you know that Mr. Shifter, one of the chimps featured in the famous PG Tips television commercials) put out a childrens record. 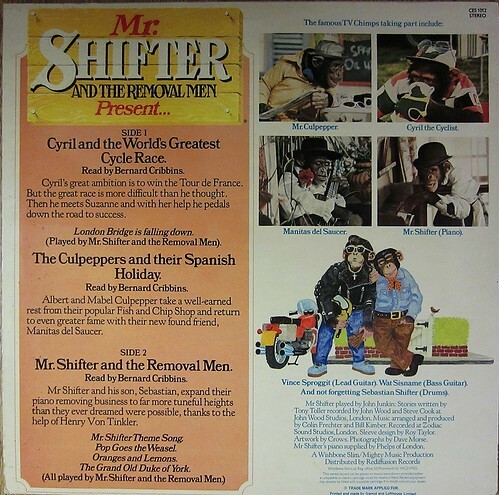 It was called Mr Shifter and the Removal Men and was actually done by Bernard Cribbins and John Junkin. Here is the front and back of the record. Thanks to Bollops for the image, you can see more of their work on flickr. I remember this record with much fondness – as a child I sat listening to it over and over… I would love to get a digital copy somehow to play to my little boy if anyone knows where I can find one?